Deborah Bradley (nee Woods) has been singing from the age of 7, at Church Services, Charity Fundraisers and Wedding Services. 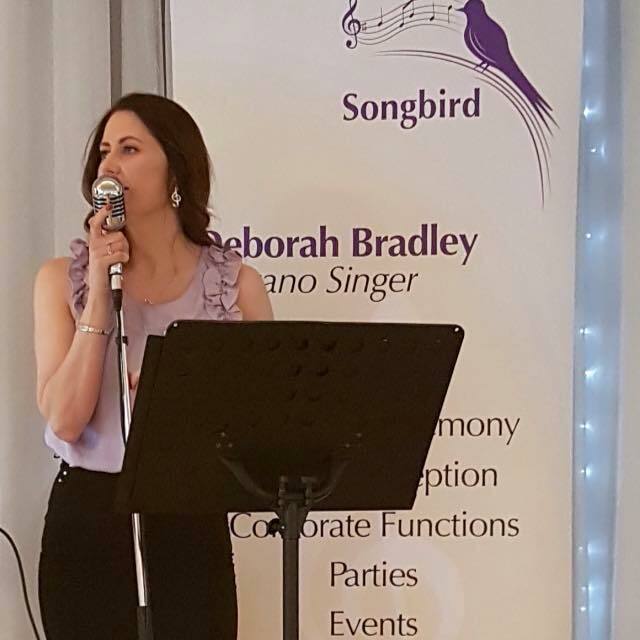 Based in Co. Armagh Northern Ireland, Deborah has over 20 years experience singing at wedding ceremonies and this enables her to provide you with advice on what is popular, that all your guests will know, or to have something completely new and different sung at your wedding ceremony. "Deborah sang so beautifully at our wedding we honestly couldn’t recommend her enough. We’ve had so many guests compliment her singing also. Thank you for making our day even more special"